The positive thermal coefficient (PTC) electric condensate evaporator pan takes advantage of new technology that can reliably supply wattage at a lower level suitable for low flash point refrigerants. Wattage is constantly being provided at a reduced rate of approximately 10% of nominal value in open air as the resistance is self-regulated to a higher value with the higher sheath temperature. Once condensate water is introduced to the heating element wattage will be provided at the nominal value as the resistance is self-regulated to a lower value with the lower sheath temperature. There are four wattage levels available with the PTC designs which are 400 watts, 500 watts, 750 watts, and 1000 watts with the u-bend shape. Our offering for the PTC designs have two voltage levels at 120 volts including cording with a molded plug and 240 volts including cording with stripped leads. 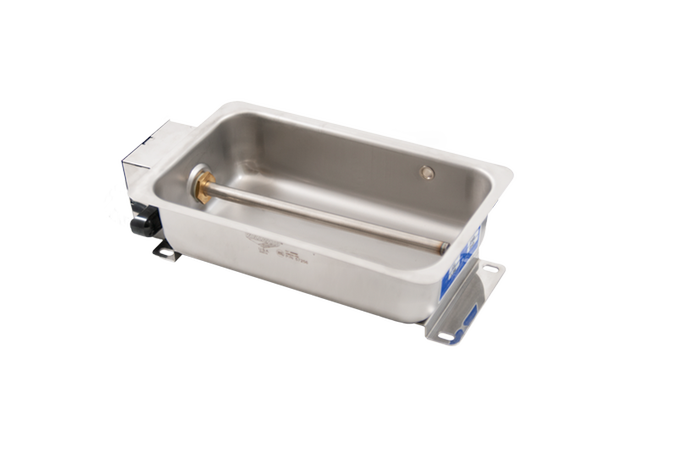 All cording is included standard with the condensate evaporator pans with the proper strain relief hardware at the following lengths of 3 feet, 6 feet, or 9 feet. This pan design eliminates hardware to remove all electro-mechanical devices, provide a lower profile, and to reduce maintenance costs. Available in 12 separate pan series with various models in each series, the condensate evaporators can dissipate anywhere from 1.5 to 8.0 gallons of water per day. 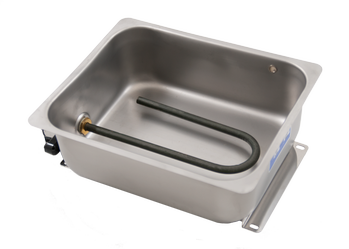 Our Evapoway™ units are manufactured in a variety of sizes and capacities to accommodate all your application needs. The positive thermal coefficient (PTC) electric condensate evaporator pan takes advantage of new technology that can reliably supply wattage at a lower level suitable for low flash point refrigerants. Contact your local Backer Springfield sales representative or call 1-800-692-4733 for additional configurations and specifications.